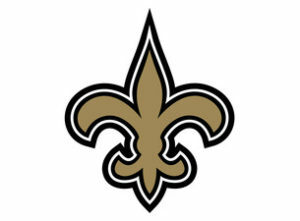 The New Orleans Saints have existed since 1967. Did you know, that it wasn’t until the year 1987 before they had a winning record? That is also the first year they made the playoffs, in team history. Yes, 24 years went by before they made the playoffs. It gets better. The year 2000 was the first time the team won a playoff game. Yes, it took 33 years for the team to win their first playoff game. Took 39 years for them to appear in their first NFC Championship game. After winning the Superbowl in 2009, they went 11-5 and lost in the wild card game. The year after that they went 13-3 and lost in divisional round. The next year they went 7-9, missing playoffs. Year after that, 11-5 and lost in divisional playoffs. They then went 7-9 for 3 straight years. Then one of the most famous plays in playoff history happened against the Vikings..after going 11-5. Saints have 345 total wins (not counting this season). They have 8 playoff wins, 1 NFC Championship and 1 Superbowl. Oh, they also had a stretch from 1987 to 1999 where they either were not in playoffs or they lost in wild card round, every year. That’s 12 years. 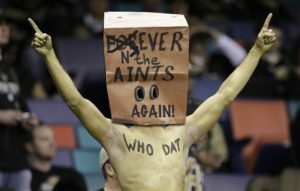 Why were fans going to Saints games through all of that? Why be a fan of a team that for decades, perpetually lost, did not have a chance to win anything? 42 years it took for them to win a Superbowl. Some people didn’t live long enough to see it happen. But they waited, they supported and now nobody can take that victory away from that fan base. The Atlanta Falcons have existed since 1966. Their first winning record came in 1973. They first made the playoffs in 1978, losing in the divisional round. 1980 they made playoffs again, losing in divisional round. 1982 they made playoffs again, losing in first round. They then missed the playoffs for 8 years in a row. In 1990, team went 5-11. 1991, team went 10-6 , known as the “2 Legit 2 Quit” season, beating the Saints in Wild Card, but losing to Redskins in divisional round. They missed playoffs for 3 straight years, getting to playoffs in 1995 but losing to Packers. They lost 13 games the next year, 9 the next. Then in 1998, team went 14-2 and made their first NFC Championship game, winning in thrilling fashion, a Morten Anderson field goal. They lost the Superbowl to the Broncos. The next year? 5-11, then 4-12, then 7-9. The Michael Vick era begins. 2002 team makes playoffs, beating Green Bay on the road, but loses in the divisional round. The next season, 5-11. Vick “is back” in 2004, going 11-5, winning in the divisional round, but losing the NFC Championship game (teams 2nd appearance) to the Eagles. They then miss the playoffs for 3 straight years, of course you know the dog thing happened, suspension, etc. In 2008, Matt Ryan comes to the team. Team makes playoffs, loses in wild card. 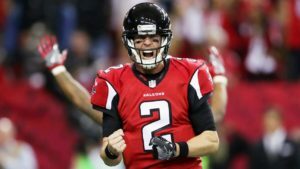 Matt wins Offensive ROY, Mike Smith got coach of the year. the next season the team goes 9-7, marking the first time the franchise had winning seasons in consecutive years. Yes, it took 42 years for that to happen. After going 13-3, 10-6 the next two years, 2012 brought 13-3 and a third NFC Championship game appearance. They lost by 4 points. In 2013 the team was ravaged by injuries and finished 4-12. They mised playoffs for 2 more years. Then in 2016, team went 11-5, Ryan was named MVP, team made it to their 4th NFC Championship game, and 2nd Superbowl. Matt had one of the best Superbowl games ever, but we know how it ended. The next year the team makes tne playoffs again, winning in the wild card but losing in the divisional round. The Falcons have a total of 361 wins (not counting this season). They have 10 playoff victories. They have 4 NFC Championship appearances, 2 wins. 2 Superbowl appearances. What is the point? It’s hard to win in the NFL. As I’ve mentioned before, 5 things must happen for a franchise to be successful on a regular basis. Owner of team has to care about winning, not just view team as an asset. Managment has to make wise decisions over time, your coach has to be good to great. Your players have to be good and a few have to be great, over time. And, your team has to be healthy over time. Think how different things would be if team that went to superbowl in 1998 didn’t get hurt in 1999? If Vick had not broken his leg? If Matt was hurt every 3 years? If the Rankins didn’t own the team? If Mike Smith hadn’t coached past 2013? All that being said, we have been better than other franchises over time. 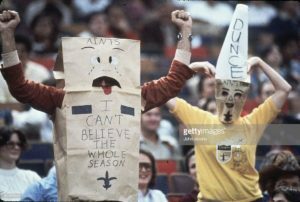 The Saints fans wore paper bags over their heads to attend games at one point. But they still went. Why? Because they supported the team they “chose” to support. Team doesn’t have a winning record for 20 years, doesn’t make playoffs for 24 years, yet fans remained fans of “that”. I guess each year after their Superbowl victory, they are “settling” by continuing to be enthusiastic about their team, about that Superbowl win, year after year. Meanwhile, Falcons call the past 10 years of the Falcons “mediocre”. That is the difference. This fanbase, because they choose to be miserable, choose to live life in misery, would rather choose to be conforntational just to argue each second of the day, rather than just changing the team you supposedly support. You hate the Falcons. You hate Matt Ryan. You hate everything about Atlanta. Why are you still here? What is stopping you from moving from the city? What is stopping you from joining the fanbase of a team you feel is better? Why don’t you go be a fan of a team that is winning, a team that has won more games, been to the playoffs more, has Superbowl victories? If you can’t take the heat, why are you still in the kitchen? Why? Why do you choose to make every negative aspect known, ignore all positives, instead of just giving up for real (don’t just say it then next season be on board again, why not actually give up)? Patriots, Eagles, they won the last 2 Superbowls, why don’t you move to Boston or Philly? How about Green Bay, who has the best QB ever (that’s the word on the street). The Bears are back, after not making playoffs for 7 years straight (somehow there are still Bears fans). It’s hard to win in the NFL, but some of you feel it’s easy. And that’s why we have the reputation that we do. Choice is powerful. You either choose to support a team or you don’t, there is no middle ground. The team you support may never “win it all”, that is a fact. That is reality. That is life. Does that mean you shouldn’t continue to support that team? Ask Cubs fans that. Asked the cursed Red Sox fans that (how many rings do they have now?). The curse of the Bambino was a real thing to many in Boston. 86 years it took the Red Sox to win a World Series…….Ask Browns fans that. What have they been through just in the last 10 years? They also lost their team at one point, just moved in the dead of the night. Ask St. Louis Rams fans, whose team actually won a Superbowl, now they don’t exist anymore…..
One day, the Atlanta Falcons are going to win the Superbowl. You won’t be around. Why, because you chose to not be a fan. You went and became a Panthers fan, only to find out they are never winning the Superbowl. Or you became a Saints fan, and watch them be bad for 15 years straight. You can’t jump from team to team and call yourself a fan. You don’t know what is going to happen each year. Why isn’t Green Bay win each and every season with A A Ron? How did the Yankees not win the World Series despite spending all the money in the world? How did the Patriots not win the Superbowl against a backup quarterback? By the way, did Patriot fans suddenly jump ship because they didn’t win back-to-back Superbowls like they should have?? Why do Bills fans keep showing up in Buffalo New York, after going to 4 straight Superbowls and losing all of them, they went 16 straight years without making the playoffs. What would you do if you lived through that period of time? You hate the Atlanta Falcons? You hate Arthur Blank? You hate Matt Ryan? And yes, you have to hate Arthur if you hate all player decisions because Blank writes all the checks. Well, I hate you, the fake fans, people that can’t say anything positive about anything, EVER. Again, it’s ok to be mad and frustrated when things go bad, when people don’t play well. But to say things like “I give up”, and “I’m not supporting this”, and “they are losing on purpose”, well, I don’t respect any that say that. I give up on you, individuals who give up at any sign of adversity, run away when obstacles fall in your path. You act like you didn’t see the Seattle Seahawks make the playoffs one year at 7-9, hosted a playoff game and win it. 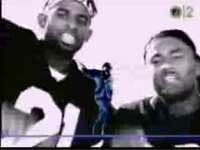 And of course, the New York Giants getting to the Superbowl after going 9-7. You hate the Falcons enough to become a Saints fan? Go ahead. Saints are 10-1, look good on defense and offense. But nothing is guaranteed. Kansas City saw their QB throw for 6 touchdowns in a game and lose earlier this week. So you can go ahead and join the Saints bandwagon. 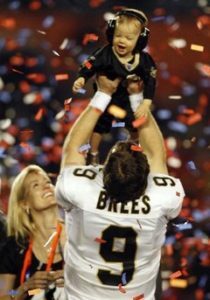 Be a Drew Brees fan, go ahead, it’s easy to do that right now. But Saints fans thought they would be in NFC Championship game each year after 2006. But in 2007 they were 7-9, 2008, 8-8. 2012-2016 they were 7-9 each year with an 11-5 season squeezed in, with one of the best quarterbacks ever. How did that happen? Did Saints fans “give up”? No. Did they quit on their team? No. 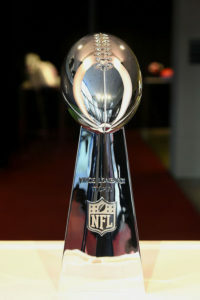 Each year, no matter what the record, they brag on their team as if they are going to win the Superbowl again. 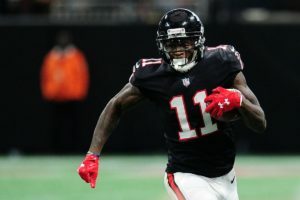 One day you’ll appreciate being a fan of the Atlanta Falcons. The few fans that are left, when the parade on Peachtree Street happens, we will enjoy it, we will cherish it, because we stayed. We choose to fight through the disappointments. We choose to have hope. We choose to be optimistic. We choose to be loyal. We choose to have a winning mentality rather than a loser mentality. We choose to BELIEVE. 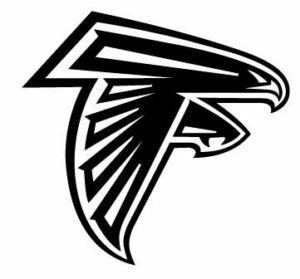 Go FALCONS!!!!!! !